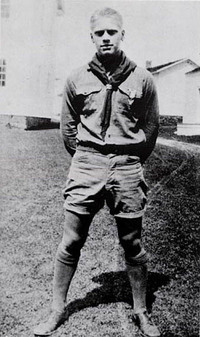 A Scout unit can be compared to a bird in flight. 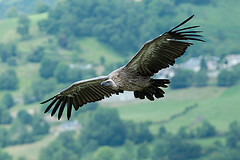 A healthy bird flies high, soaring with wings open and catching updrafts and downdrafts. It might dip a bit here and there, but it catches another thermal and continues to soar. A newborn bird flaps its tiny wings mightily, desperately trying to catch air. It might perch itself on the edge of the nest, take a leap of faith and go “thud” on the ground. Mother bird might pick it up and place it back in the nest for another try. If a predator doesn’t get to it, it will keep flapping until it finally struggles airborne enough to get back up to a tree branch. With enough wingflap, it will eventually learn to sustain flight. A weakened bird struggles to stay in the air but steadily drops. It might perch for a rest, but it tries again and continues its sometimes futile attempt at getting from branch to branch. If it’s a migratory bird, it may not make the trip this year due to its feeble state and end up as lunch for a neighborhood cat. A bird that’s been attacked may have a broken wing and its flight will be crippled. It loses altitude quickly and has to rest while it builds up its strength again. It may fly again and it may not, but as it heals it will take considerable time until it is once again fully airworthy. I have seen packs and troops that fly like these four examples. Three of the packs in our neighborhood are strong like the healthy bird. They have committed leaders, good planning, a solid program, healthy recruiting and a good membership. They have high participation and engagement and are successful at delivering the mission of Scouting. One pack is in the newborn category. They don’t have the critical mass of members yet, so don’t have the ability to have a true Cub Scout program and experience. A neighboring pack might function from time to time as a “mother bird”, helping out by sharing their activities, but it will not fly until its wings are strong and it has enough members to be able to deliver a solid program. It really takes a leap of faith on the part of the current membership to be able to be patient and build a quality Scouting experience for themselves and the boys yet to discover the fun of Scouting. There’s another pack that is in a weakened state. Their membership has been dwindling, their leaders almost want the pack to fail, and they don’t really seem interested in growth. The boys in that pack are having a so-so experience, not doing very much, and the parents are not sold on the benefits of Scouting. Scouting units are not often attacked, but when the attack happens, it often comes from the unwitting actions of the adult leadership. Clarke Green talked this week about a troop where the adults “stirred the pot” by rearranging patrol membership. 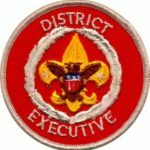 No longer able to enjoy Scouting with their friends, the boys left, and membership dropped by over two-thirds in the course of a couple years. They may have learned their lesson, but it will be a long time before that troop is flying as high as they once were. Soaring Eagle, struggling blue goose, or dead duck. Which one is your unit?